Modern technologies can make the surgeons do wonders! With the help of advanced imaging techniques and specialised medical equipment, even the spine can be operated on with minimal incision. Imagine! That’s what a minimally invasive spine surgery will do! Traditionally, for an open spine surgery, a minimum of a five-inch incision is made, and the muscles are pulled away to reveal the spine. That would cause a lot of damage to the surrounding tissues, making it difficult to be performed on certain conditions like advanced age, history of back injury, difficulty in healing, complexity of the back issue etc. 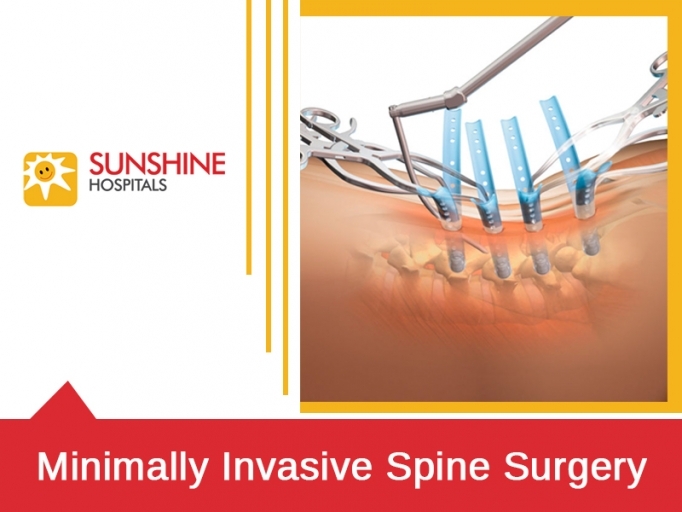 How is a minimally invasive spine surgery done? During the minimally invasive back surgery, an Orthopaedic surgeon will initially numb the area with a sedative or a local or a General Anaesthesia. Next, he will take continuous x-ray images in real time. This will show the condition of the spine clearly and also show the progress. The surgeon can monitor the procedure minutely. The incision is then done using a device called obturator which pushes the soft tissues away. The obturator comes inside a tube, which, after removal of the obturator, is used to insert micro cameras and light. Through the small incision, the doctor makes requires changes including removal of defective bone, insertion of assistive medical device, repairing of damaged tissues. At the end of the procedure, the obturator is removed, and the incision is closed. After the minimally invasive spine surgery.. Depending on what kind of minimally invasive back surgery you got, you may have to stay in the hospital for 2-5 days, and you can go back to normal life within 1-6 weeks. You may feel little discomfort until full recovery. This is why topical medicines along with physiotherapy are generally prescribed as a part of postoperative care. Every surgery involves some degree of risk. But, the risks associated with minimally invasive spine surgery is exponentially less than an open spine surgery. Basic risks of infection, unpredicted bleeding, blood clotting, anaesthesia failure, nerve damage etc. can be minimised when the surgery is performed by a skilled expert, and the postoperative care instructions are followed accurately.